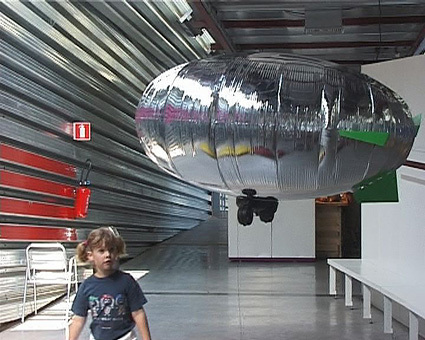 The remote controlled talking blimps were exhibited at the 1st Festival d'experiences robotiques at the Parc d'Aventures Scientifiques (PASS), Frameries, Belgium. 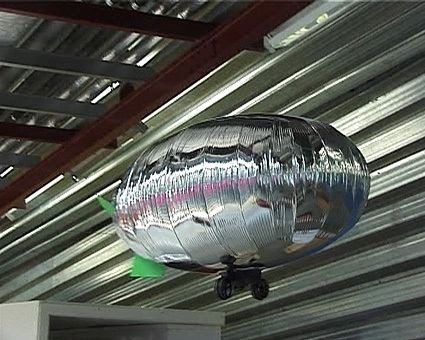 The blimps were realised within the robotics class of Prof. Louis-Philippe Demers at HfG, with the support of PASS and Plantraco. First tests at the HfG Karlsruhe. 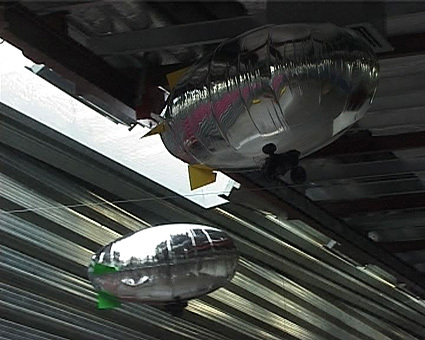 We used toy blimps from the Plantraco company and modified them with sound chips. The flying light bulb is made of a Plantraco gondola, a gigantic balloon and a custom made vacuform plastic base. Inside this balloon we placed led lights.